Tuesday, June 5, 2007, our motorhome was parked at the Cedar Valley RV Park in Guthrie, OK. We spent the day inside with the shades up watching golfers on their golf course and birds flying from tree to tree. It was not that exciting, but it was something relaxing for two retired RV travelers to do while killing time in Oklahoma. 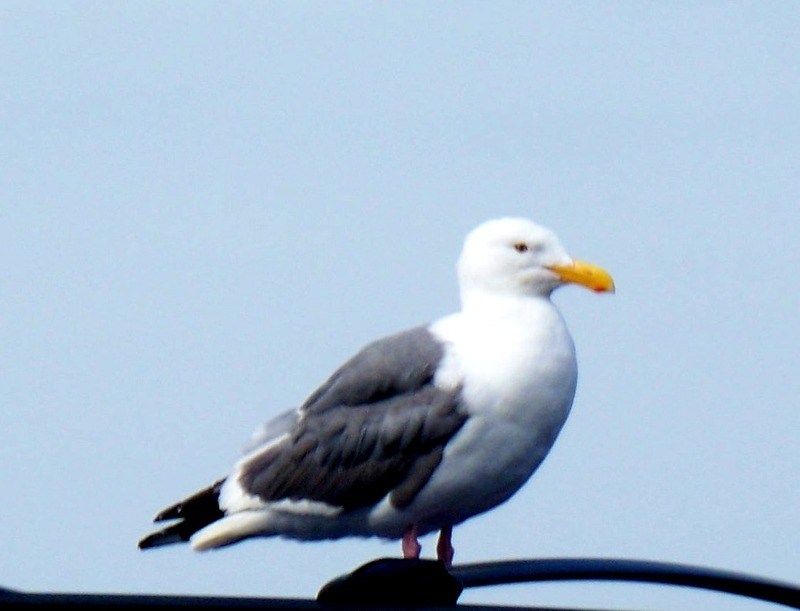 It was a nice spring-like day with bright sunshine and cool breeze. We were in town for a family reunion that was still over a week away. Kathi talked to my sister, Carol Jackson and found out she and Lloyd were going to fly into Houston to be with his mother as she was being evaluated after the stroke she had on Monday. Mrs. Jackson was thought to have only a short time to live. Carol and Lloyd are also RV travelers and their motorhome was parked in Oregon, if I remember correctly. My own travels are often vague in my memory, so I am not surprised I do not recall exactly where they were located. Kathi and I drove about 15 miles south from Guthrie on I-35 and into Edmond on Wednesday morning. We toured around Edmond and found an On the Border restaurant for a little Tex-Mex for lunch. Kathi had a salad and I had beef quesadillas. OTB always has good food and clean restaurants. It was a little warmer than Tuesday, but the sun was still bright and the wind was gusting and it was nice to be outside. We enjoyed seeing Edmond. It is a beautiful little city just north of Oklahoma City. Ninety-one degrees on Thursday and it felt hot. 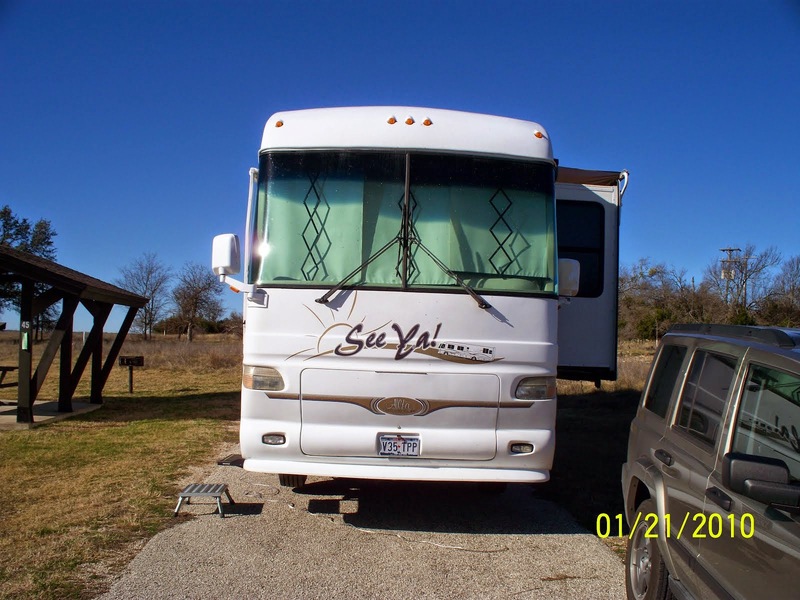 It was a reminder that the reason we bought our motorhome was so we would not spend hot, sultry summers in Texas. Well, at least we were north of Texas in June and a chance to dream about cool mountaintops. We drove back into Edmond to visit the Super Walmart store. That was enough work for me on a warm day – it is not called laziness after retirement. Carol called on Friday to let us know Mrs. Jackson had rallied and was talking to family members and the doctors when they arrived. Good news. We knew she was a tough lady. Her doctor was encouraged, but cautious. 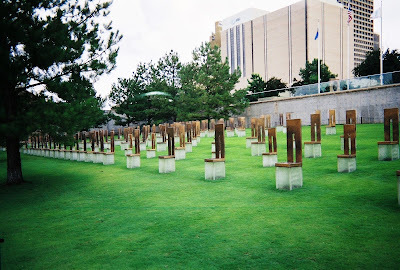 It was cooler on Sunday, mostly due to overcast skies so Kathi and I decided to drive into Oklahoma City and see the Federal Building Memorial on the site where the Murrah Federal Building stood before Timothy McVeigh blew it up in April 1995. The site is now a national memorial. Kathi and I were very moved just being on the property. Each chair represents a person that was killed by the explosion. Notice the difference in size of the chairs. 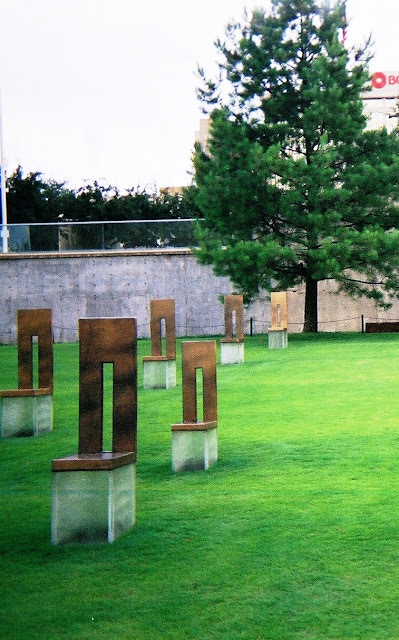 The smaller chairs represent children killed.